Online channels: channels that you authenticate to (if available) make automatic publications of scheduled posts and (also if available) get updated post metrics and insights. Offline channels: channels that you don't need to authenticate. Manual publication of scheduled posts must be done and automatic post metrics and insights are not available. Offline channels can be turned into online channels by re-adding it following the online channel workflow. Twitter: automatic publication is available. Insights can be imported from CSV files. Facebook: automatic publication is available. Post insights are periodically updated. Instagram: automatic publication is not available, but post insights are periodically updated. LinkedIn: automatic publication is available. Post insights are periodically updated. Reddit: automatic publication is available. Post insights are periodically updated. Telegram: automatic publication is available. There aren't post insights available. If you need to add a different kind of channel you can create custom channels. It allows to specify a name, a color and a profile URL as needed. A list of the available social networks icons will be displayed. Click on the one you want to add. If you selected a custom channel (gears icon), you can complete the details on the displayed form. If you selected a social channel then you are asked about the type of channel you want to add (see online/offline channels). For online channels (authenticated channels) you will need to follow the social network login, allowing grants and permissions as requested. For offline channels (unauthenticated channels) you will need to enter the profile URL. The system will get the needed details from it. Sometimes you will get a notification about a channel being disconnected. It may happen because of several reasons: social network policies (i.e. some platform grants access only for a specific period of time), user removed accidentally the access for the app, network or API issues. To reconnect you just need to re-add the channel like explained above. For social channels you have some settings available. To edit them click on the gears icon available at the channel chip. Prevent automatic post: If activated, no posts are published automatically to the corresponding platform. For offline channels or platforms that doesn't support automatic publication this setting is always activated. Estimated reach: This is an estimated percentage of how many of a channel's followers see a post/update and it varies from platform to platform. 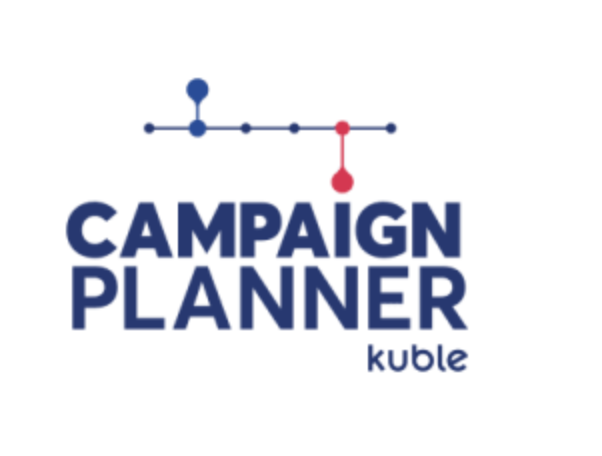 The Kuble Campaign Planner sets default values based on the corresponding platform but you can change them and set your own estimates. This value is used for the calculations of earned values. Average connections: This is an estimate number of the average connections/followers a page/profile has and it varies from platform to platform. The Kuble Campaign Planner sets default values based on the corresponding platform but you can change them and set your own estimates. This value is used for the calculations of earned values.